Since the new year is already almost a week old, I think it’s time to restart the City Views series with some unseen perspectives. This is the northern end of the street where I live – the Eduardstraße literally ends in an old brick wall which seems to have once been part of a house which has been long, long gone. Behind the wall is a ten or so meter drop down to where the Dickswall is – and while there is no building anymore directly below the end of the Eduardstraße, there is a lovely old house right next to it. I have not been able to find out much about it except that it must be from the 19th century or earlier and that it has been recently renovated after it had gone through multiple owners. 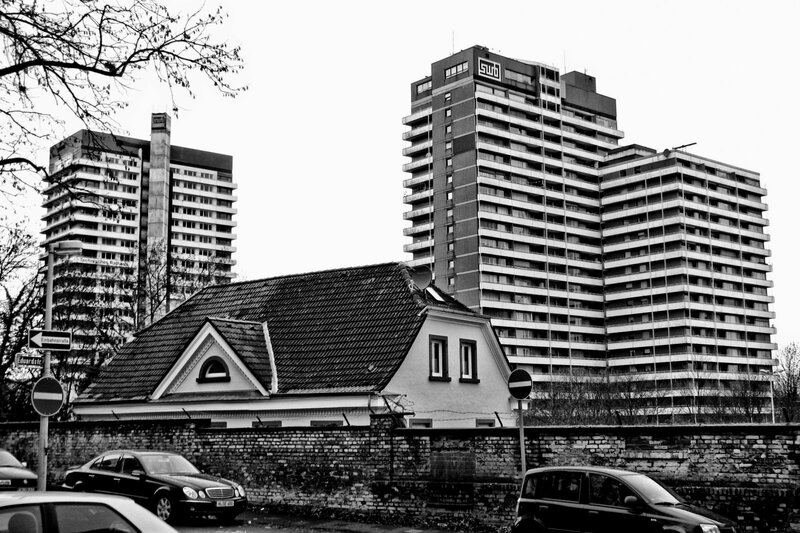 The view from the Eduardstraße shows the close proximity to the ubiquitous highrise buildings of the inner city. Views from the other side of the wall are coming in the next postings.